Making decisions for other family members can be very difficult as you want to ensure their best interests. Having mental capacity is crucial in making decisions. The Court of Protection exists for people who lack the capacity to make financial decisions for themselves. We have advised many people making applications to the Court of Protection in many different situations. Whether it is due to a lack of mental capacity because of an accident causing brain damage, or perhaps old age which has caused severe dementia, we are able to help and here to help you. Application to Court to be appointed Deputy. Assist with the preparation of the Court Forms. The Court of Protection helps to look after individuals who lack capacity to make decisions for themselves. If an individual has not made a Lasting Power of Attorney and loses mental capacity then a family member, close friend or a professional such as a solicitor or accountant may apply to the Court to be appointed Deputy to look after the property and affairs of the individual. Dementia and other age related illness. At Bloomsbury Law we assist clients applying to the Court to be appointed Deputy to manage the property and affairs of individuals lacking mental capacity. In theory, anyone over 18 can be a Deputy. It is usually a family member, close friend or a professional such as a solicitor or accountant. A property and affairs Deputy looks after the financial affairs of the individual for example take over accounts and pay bills. The Deputy has to account to the Court at all times. Major decisions such as selling property, making gifts, estate planning require the permission of the Court. Each year the Deputy has to provide a Deputyship Report to the Court. Medical evidence is submitted to the Court. This is usually completed by the GP or Psychiatrist responsible for the individual. There are different forms to complete – these give details to the Court about type of order being asked for, details of person applying to be appointed Deputy and details about the individual lacking capacity. Application is sent to Court and it will make the appropriate Order. Once the application is sent to the Court between 2 to 4 months. Fee of GP or Psychiatrist completing Form COP. Security Bond – Deputy has to obtain this to cover their action as Deputy. The more assets the higher the Bond. The Bond is set by the Court and is paid annually. This can range from £200 upwards. Solicitors fee – Fixed fees of £825.00 plus VAT. 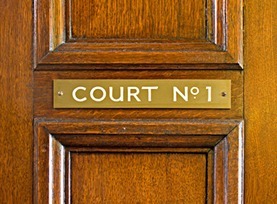 Some solicitors may charge more but their bill needs to be approved by the costs judge. Supervision fee for Deputy – annual fee paid to Court. At Bloomsbury Law, we will provide a comprehensive service to make sure that the interests of the individual are best served. If you know someone whom is in need of the Court of Protection, please get in contact with one of our specialists. We will listen to your situation, answer any enquiries you may have, and advise you accordingly. We can assure you that we appreciate this may be difficult, and we will do our best to make the transition as easy as possible by taking you through the process step-by-step.